UPDATE: We've now attached another trailer from Will Ferrell's Funny or Die website. Watch it with the others below. The latest trailer for Anchorman 2: The Legend Continues has landed online, featuring blink-and-you'll-miss-it appearances from Harrison Ford, James Marsden and Greg Kinnear alongside the old team of Ron Burgundy (Will Ferrell), Brian Fantana (Paul Rudd), Brick Tamland (Steve Carell), Champ Kind (David Koechner) and Veronica Corningstone (Christina Applegate). 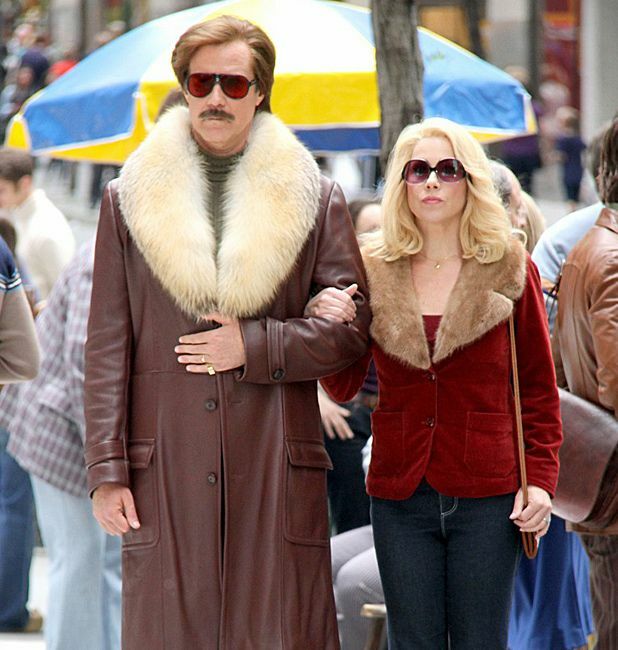 The full movie is also rumoured to include a star-studded supporting cast including Ferrell's Talladega Nights co-stars Sacha Baron Cohen and John C Reilly, Bridesmaids' Kristen Wiig (appearing as Brick's love interest), plus Liam Neeson, Nicole Kidman, Tina Fey, Amy Poehler and Kanye West. The new trailer also introduces a few more plot elements – while the last trailer had Ron struggling with race relations in the 1980s, this one throws in a bit of satire on the inevitable decline of 24 hour news networks into tabloid journalism, plus the news team's inability to deal with diversity in the shape of a gay anchorman. Watch both trailers below, then get ready for the general release of Anchorman 2: The Legend Continues on Fri 20 Dec.